Dystopian novels depict a repressed society controlled by a select group, masking itself as an ideal society. The thing that fascinates me about dystopian novels is the tenacity of man’s free will that cannot be subjugated by anyone. Authors have taken different angles in tackling dystopian societies. To date, “The Giver” remains to be my all-time favorite. However, I must say that “The Hunger Games” trilogy took the dystopian genre to a whole new level. As I read Veronica Roth’s “Divergent” early this year, I realized that a writer’s skill is not limited by the topic she writes about. True, “Divergent” may be from the same tree but it’s unique and exhilarating in its own way. Set in dystopian Chicago, Beatrice Prior lives in a society divided into 5 factions— Abnegation (the selfless; where she and her family belong), Amity (the peaceful), Dauntless (the brave), Candor (the honest), and Erudite (the intelligent). At the age of 16, they are made to take aptitude tests to determine which faction they belong to. During the annual Choosing Ceremony they can decide between staying with their family or choosing another faction where they will live for the rest of their lives. When Beatrice took her test she had an inconclusive result. This made her evaluator worry. She was advised not tell anyone what her result was. When it was time for her to choose which faction she wanted to join, much to her parents surprise she chose Dauntless over Abnegation. During her stay in Dauntless she changed her name to Tris to embrace the new identity of belonging to another faction. Tris faced rigorous and death-defying training. After all, when your faction means bravery you should be able to face anything. She tried to blend in the background but her ability to get past simulation tests gained her the spotlight all the more. Her budding romance with her elusive trainer named Four also added to her troubles. Tensions arise when Tris finds herself in a situation that endangered the life of the people she loves. The turn of events will catch you by surprise as Tris struggled with her own identity in a world where trust seems to be as elusive as freedom. What I love about “Divergent” is that the characters were given a choice from the very beginning. Yes, they were trapped but they get to choose where they’ll be trapped for the rest of their lives. Early on, there’s a nagging variable presented to the reader—divergent. Wanting to know what that means along with its implications drew me deeper (and faster—because I literally read it fast!) to the dystopian world of Beatrice. There are also very little clues as to where the turn of events will be as you read the novel. Unlike in “Hunger Games” when Katniss volunteered, I knew for sure that this was a fight for survival. 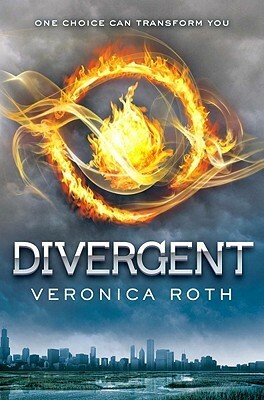 With “Divergent” the reader is kept speculating on what the twist will be. I love the character of Tris and her deep sense of loyalty even if it meant putting her life on the line. You may find it ironic that I lauded her loyalty when she changed her faction. You have to read it to see how this one plays out in the novel. Four’s mysterious character got me glued to the pages as well. The idea of cultivating your strongest virtue for the rest of your life appealed to me because I’ve always believed in leveraging on your strengths more instead of wasting your time trying to improve your weaknesses. In the novel, if you’re smart you go to the Erudite faction where you’ll be a genius by the time you die (well at least that’s my guess). But the curse in this kind of dystopian society is when a person crosses the line from being the best in his/her faction to becoming the worst of its kind. 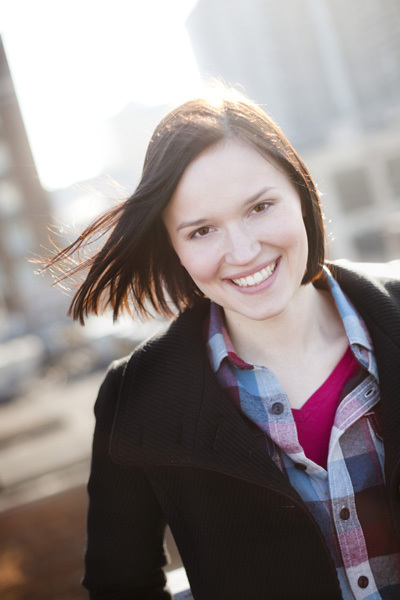 Veronica Roth is 23 years old. Yes, you read it right she’s only 23!!! What was I doing when I was 23?! Haha! Anyway, “Divergent” is her debut novel and the sequel “Insurgent” will be released anytime this month. Yay! I’m excited to see how this trilogy turns out! I don’t expect it to reach the same heights as “Hunger Games” but I hope each book gets even better. I love the book and the concept of the trilogy for what it is. I admire Roth for her engaging prose and her dauntless leap to take on such erudite task of publishing a debut trilogy.